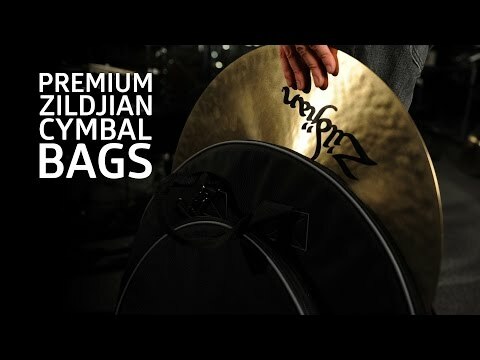 The Zildjian Premium Cymbal Bag is ideal safe transport and storage for your cymbals. Capable of holding your entire cymbal collection up to 22 inches, this thick padded bag will not only keep them safe from rattling around in the back of your transport, but will also keep them protected from scratches and knocks that could ultimately ruin the tone. To make easy work of taking your cymbals around with you, the Zildjian Premium Cymbal Bag comes with a heavy duty handle stitched to the bag for excellent durability. There is also a shoulder strap should you prefer to carry it whilst keeping your hands free. Cymbals are very precious and protection for them could end up saving you lots of money in the long run by preventing any damage. Get peace of mind with the Zildjian Premium Cymbal Bag.